Thinking about starting up an accounting firm online from home? Ask yourself these five questions to see if it can work for you. 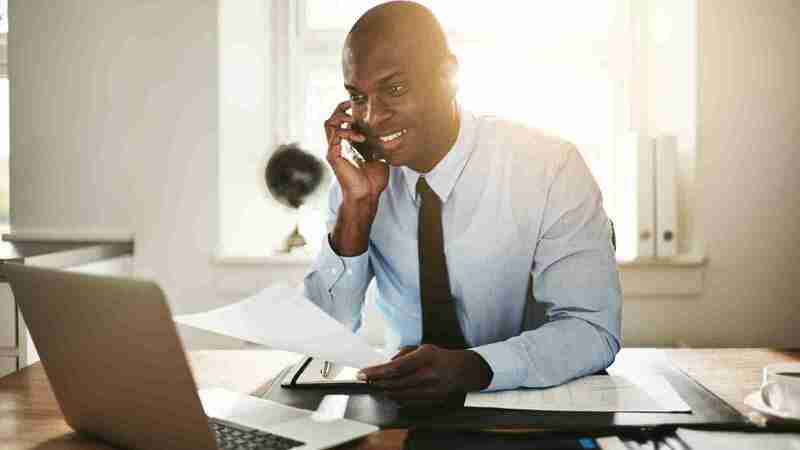 High-speed broadband and cloud tools make working from home or on the move a realistic and increasingly popular choice for accountants and bookkeepers. There are lots of benefits to giving up the office. You can avoid the time and stress of the daily commute and gain more quality time with your family. You can save money on traditional office costs and claim a “reasonable amount” of expenses to cover the cost of using space at home for your business. However, before giving notice on your business premises starting up an accounting firm online, you should ask yourself these five questions. 1. What kind of work can you do on a virtual basis? Most of the accountancy services you currently perform from your office can be done online. Tax, compliance and bookkeeping services can all be carried out effectively from just about any location, especially with easy-to-access cloud services like QuickBooks Online for Accountants and Bookkeepers. However, before you take the plunge, think about your clients’ needs. Some people will prefer to meet up to discuss things face-to-face, so it’s worth investigating whether serviced office space is available for rent nearby on a daily or hourly basis. Alternatively, you may be able to agree to work at clients’ offices from time to time if necessary. "With QuickBooks Online it’s easy to collaborate with your clients"
2. What technology and equipment do you need? Consider talking to an IT expert on a retained or ad-hoc basis. This can take the stress and uncertainty out of the IT side of things. You’ll need to research what cloud applications are available to store the data that you currently keep on your PC’s hard drive or company server. In addition, consider what technology your clients use and how they’ll share their information with you. With QuickBooks Online for Accountants and Bookkeepers, it’s easy to collaborate with your clients and share real-time data. "Consider what you’ll need to do on a regular basis to ensure that these relationships continue to work well"
3. How will you manage your work? If you are a sole trader, you probably already have a practical set-up for managing your day-to-day and longer-term tasks. However, if you outsource jobs on a regular basis or have employees, you’ll need to review the way things get done to ensure a smooth transition into the world of virtual working. Look at the way you currently manage relationships between your staff, your clients and yourself. Consider what you’ll need to do on a regular basis to ensure that these relationships continue to work well. Introducing project management software can lighten the load and reduce your stress levels. 4. What communication tools can you use? Email and mobile phone contact are standard but there are other useful ways to stay in touch too. Video call applications are easily available and very affordable – they are often free. Skype, Google Hangouts and FaceTime, for example, are brilliant for maintaining face-to-face contact with your staff and your customers. Microsoft Communicator, or even Facebook messaging, can ensure you get quick answers from staff without having to call or email them. Online tools such as Google Docs are also useful for staying productive and collaborating remotely. Consider virtual receptionist services too, so if you’re in a meeting or know you’ll be travelling and not contactable, you can divert incoming calls to a real person rather than an answer phone. "Explain things clearly with regards to security, practicalities, and benefits such as cost savings"
5. How will you tell people about the change? Your clients and staff might need a bit of convincing, particularly if they’ve been used to a certain way of working for a long time. However, you can bring them around if you explain things clearly with regards to security, practicalities, and benefits such as cost savings. If clients are resistant to the change, suggest they try it for a month – if they’re still unhappy, offer to refer them to another local QuickBooks expert or offer to work on-site at their premises. It’s unlikely you’ll lose many clients but if you do, you’ll have room for customers who are on the same wavelength as you regarding working methods and technology. Deciding to move to a home-based office can bring a positive change to your working patterns, lifestyle and job satisfaction. Fortunately, the tools are now available to make it a truly realistic option. Did you find this article about starting up an accounting firm useful? The QuickBooks Blog covers many more topics. It’s all part of the support we offer to accountants and bookkeepers in the UK.